I know Mother's day has come and gone now but I believe this product may possibly be available for as long as the Easter range is in store. If not there may be a few left in store if you want to grab one and failing that hopefully it will return next year. 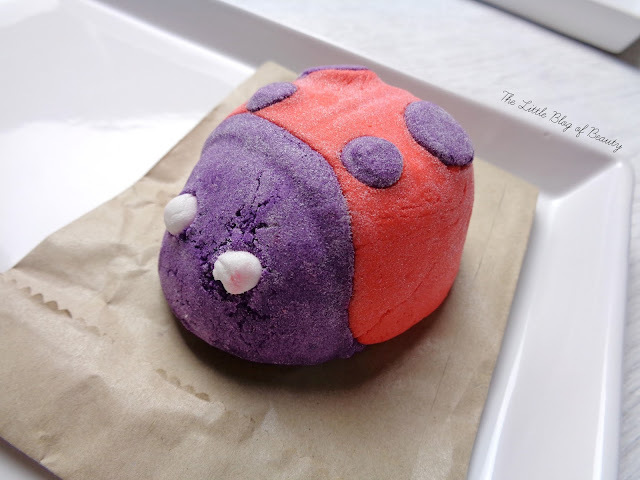 I was lucky enough to get to take a Ladybird bubble bar* away with me when I attended the Lush Spring event at Lush Sheffield a week ago. I personally think this is one of the cuter products from the Easter range, although her eyes are a little bulgy. Some of the other other products and gift sets I actually find a bit creepy, especially Humpty Dumpty (the bath bomb and gift set). Ingredients wise there's not an awful lot in this one. After sodium bicarbonate and cream of tartar the third ingredient is SLS, so if you prefer to avoid sulphates then this one isn't for you. There is some geranium oil in there for toning and balancing and peppermint oil for cooling and invigorating. I did find that this one pepped me up a bit, so maybe not one to use just before going to bed. It's about a medium sized bubble bar so you could crumble the whole lot in for an impressive mass of bubbles but I chopped off her bottom, which was probably less than a third of the bar, popped it in a colander and held it under the water to dissolve (the best way to use a bubble bar) and I got a reasonable amount of bubbles. There was some scent as the bar dissolved and it gave the water a lightish red colour. To be honest there's not a lot more to say about Ladybird as she's a fairly standard bubble bar. She's £3.95 but for that I think you could get three baths if you wanted to which works out about £1.30 a bath, so she can be very good value. 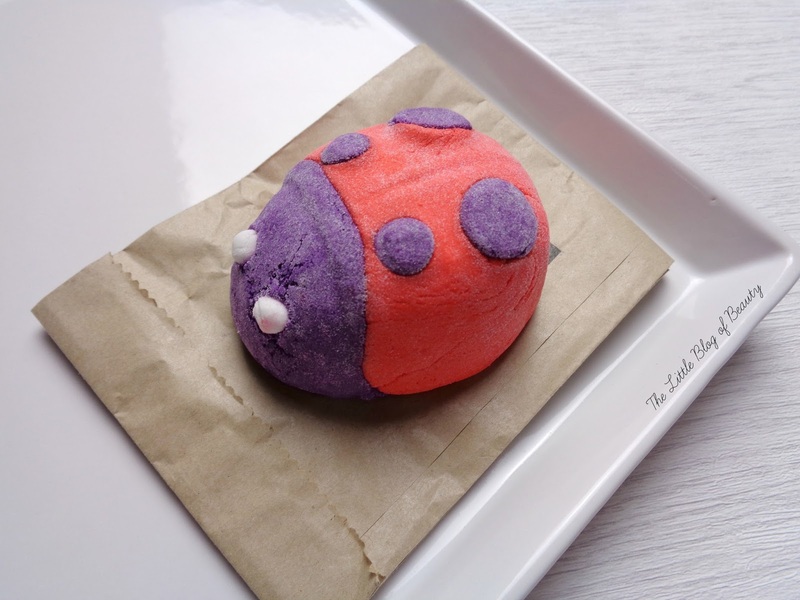 Have you tried any of Lush's Mother's day products?